Digital World Tokyo | What’s that you say? Phone for seniors slows down voices, eh? What’s that you say? Phone for seniors slows down voices, eh? 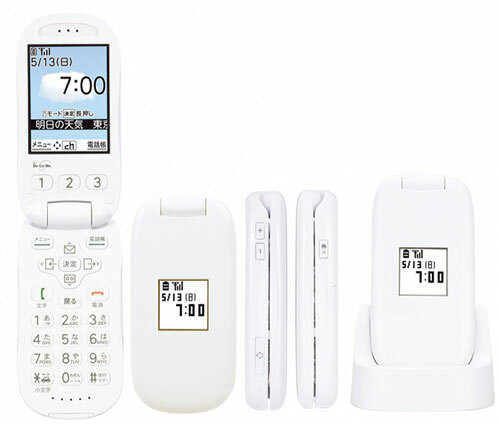 Once in a while reporters living, like your humble correspondent, on the bleeding edge of technology that is Japan have to let the façade slip and admit that something like NTT DoCoMo’s new mobile phone for the elderly actually looks rather appealing. The Raku-Raku Phone Basic is the latest in a very successful line of functional, but usually dull, handsets aimed at making the senior population feel part of the mobile generation here. And at getting them to open their wallets once a month, of course. The newcomer, which will go on sale in April for about ¥20,000, was designed by Kenya Hara, the art director of Muji and features plenty to keep granny (and some tech writers) happy. Most unusual is the ‘Slow Voice’ feature, which – as you might guess – slows down the spoken words coming through the earpiece for easy listening. Then there’s ‘Clear Voice’ noise detection, which takes account of surrounding noise levels and adjusts the earpiece and ringtone volume to suit. On top of that, the silver set gets an automated voice that reads out onscreen text from email or web pages and announces incoming caller identities and a pedometer that can work out daily calorie consumption. Although there’s no camera, the Raku-Raku Phone basic weighs just 103g, has a 2.4in screen, a standby time of up to a staggering 560 hours and a certain elderly chic that guarantees success in this rapidly graying nation.